The US Marine Corps has suspended indefinitely all flights of its KC-130T air tankers, after one of them crashed in Mississippi earlier this month, killing all 16 people aboard. The decision affects 12 aircraft, all operated by the Marine Forces Reserve, and does not apply to the newer KC-130J tankers or other C-130 variants operated by the Navy and the Air Force, Defense News reports. 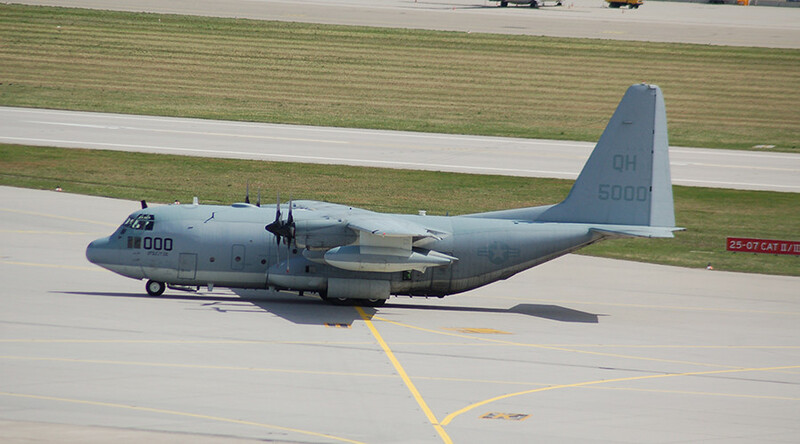 “Out of an abundance of caution, the Marine Corps took the prudent action not to fly our KC-130T aircraft in the wake of the mishap on July 10 until further notice,” said USMC spokeswoman Lieutenant Stephanie Leguizamon. On July 10, a KC-130T from the Marine Aerial Refueler Transport Squadron 452 crashed in Leflore County, Mississippi, after what appears to have been a midair explosion. The official investigation into the crash is ongoing. One sailor and 15 marines on board were killed. It was the deadliest crash for USMC aviation since 2005, when 31 people died in a helicopter accident in Iraq. Nicknamed “Triple Nuts” after the number "000" on its nose, the air tanker was based at the Stewart Air National Guard Base in New York. It was flying from the Marine Corps Air Station Cherry Point in North Carolina to Naval Air Facility El Centro in California, when it suffered an in-flight explosion at about 20,000ft (6,100 meters). The remains of the plane were scattered across several miles of farmland. Explosive ordnance disposal teams were sent to comb the debris for personal weapons and ammunition that were on board. 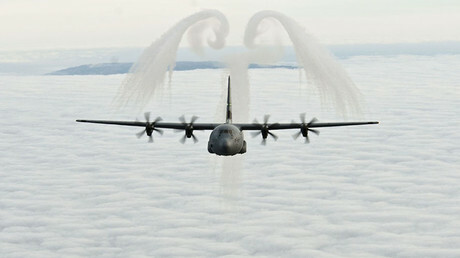 The KC-130T is a tanker version of the C-130 Hercules, a four-engine turboprop transport manufactured by Lockheed Martin, makers of the F-35 Lightning II fighter and other combat aircraft. A squadron of F-35s based at the Luke Air Force Base in Arizona temporarily suspended operations in June, also citing abundance of caution, after pilots reported a series of problems with the plane’s oxygen supply system.